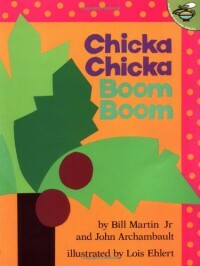 Chicka Chicka Boom Boom is on a AD530L Lexile reading level (1st grade reading level). This book is a fun way for students to chant the alphabet. Students can create their own coconut tree while placing the letters of the alphabet in the correct order on the coconut tree.